Recent studies have shown that 65% of a company’s new business comes from customer referrals, and it turns out that people are 4 times more likely to buy your product after a friend suggests it to them. So the question is: how can we incorporate this into our sales process to create more promoters? 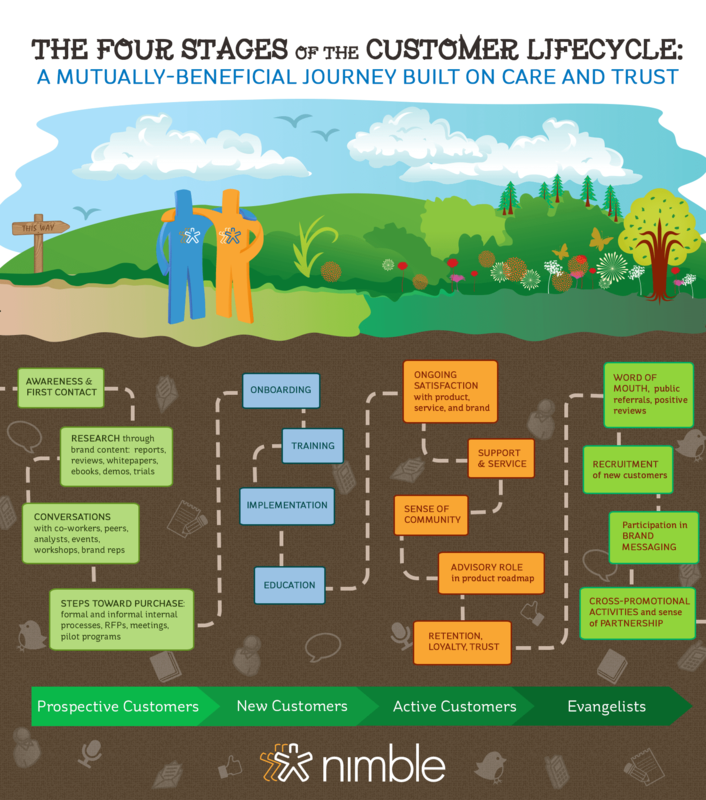 It all starts with the customer lifecycle. Understanding the importance of what the customer goes through will help you to turn more strangers into prospects, prospects into customers, and customers into evangelists. If you get more customers shouting about how amazing you are, they’ll start to bring in more strangers for you to turn into customers. But to earn it, you’ll have to really hone in on your customer’s entire journey.